If you follow me on Facebook or Twitter, you should be well aware of the fact that the bulk of my gaming time over the last month or so has been spent working my way through Octopath Traveler. In fact, I've now devoted 55 or so hours to this much-ballyhooed Switch RPG, and I have a feeling I'll need to put at least 25 more into it before I wrap up all of its storylines. It probably could go without saying that I'm thoroughly enjoying the experience, but I'm going to say it anyway. 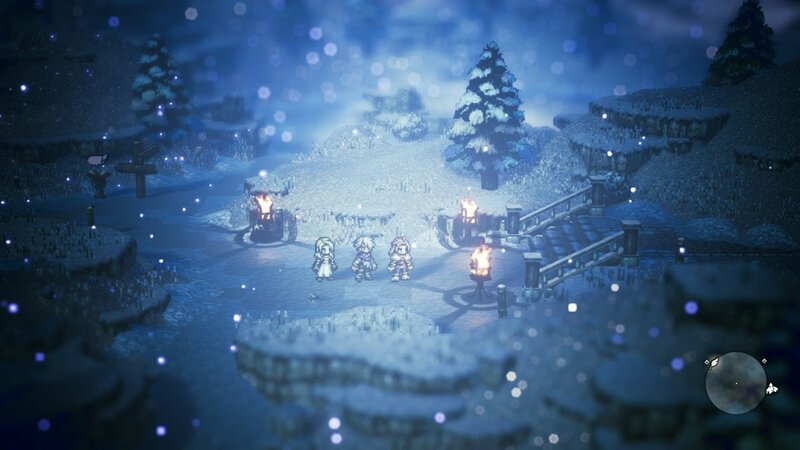 Actually, I already suggested it in my last post--about the "10 things I adore about Octopath Traveler." So why am I belaboring the point today? 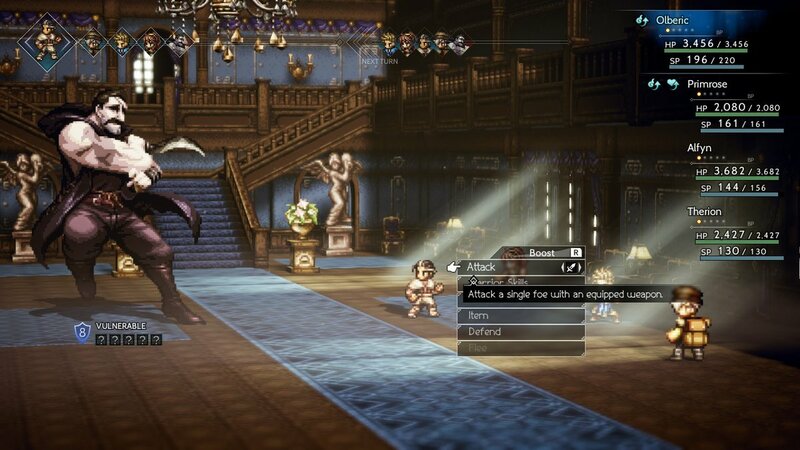 To be honest, I thought I was done extolling Octopath Traveler's virtues when I published the write-up linked to above. A few additional virtues popped into my head this past week, though, and although my initial plan was to just stick them at the end of my earlier post, I figured they'd be overlooked. Plus, I like that the components highlighted below are sort of silly. 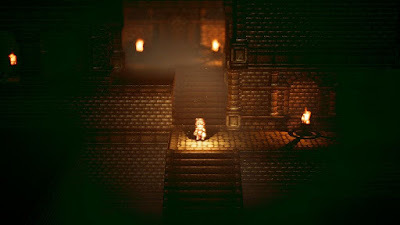 The lantern you carry while in caves and grottoes--No joke, this was one of the details that most stood out for me when I watched Octopath Traveler’s first trailer more than a year and a half ago. 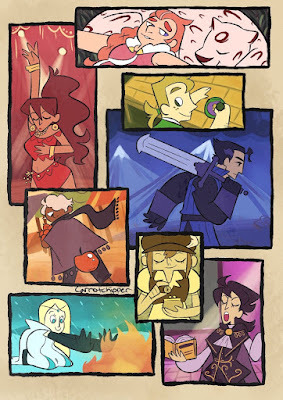 It's the type of thing that would've thrilled me as a youngster (yes, I've always been a little weird), and it still brings a smile to my face today--even if it doesn't impact the gameplay as much as I'd like. The mansions that double as dungeons--Is Octopath Traveler the first turn-based RPG to stick dungeons within manors and other such dwellings? Even if it isn’t, I love how it’s handled here. I especially enjoy ducking into rooms to see what may be hiding inside. 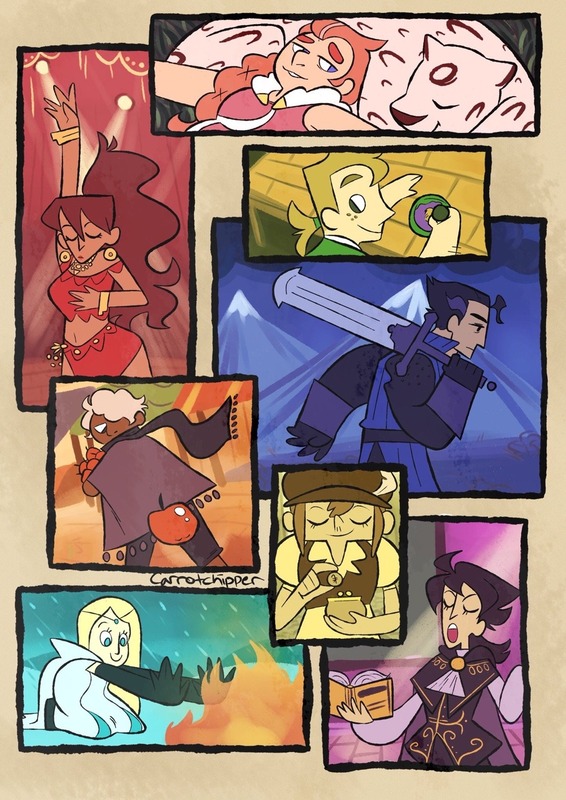 I wish they featured a few secret nooks and crannies here and there (like the caves and grottoes do), but maybe producers Masashi Takahashi and Tomoya Asano are saving such treasures for the inevitable sequel? The return of the “Final Fantasy V laugh”--Something I've always loved about the fifth Final Fantasy game is how adorable its characters look when they laugh. Well, Octopath Traveler’s protagonists and NPCs use a shockingly similar animation while guffawing or chortling. I don't know if this is an intentional reference to one of my all-time favorite games or if it's just a coincidence, but I'm going to assume it's the former until proven otherwise. The shimmer--No, I'm not talking about the "Shimmer" that serves as a major plot point in the Annihilation film. I'm talking about the way some of Octopath Traveler's elements shimmer and sparkle in the most captivating way as you walk on or by them. You'll mostly observe this while traipsing around the game's sandy and snowy environments, or while exploring some of the aforementioned caverns, but you'll also notice it (in and on homes and shops) while strolling through its villages and towns. 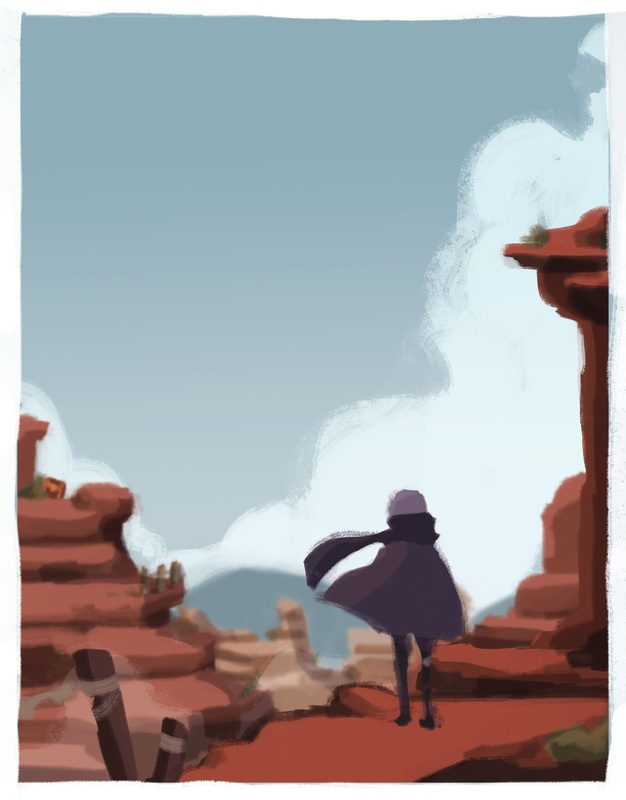 The sound of your party’s footsteps--They sound like horses clopping, especially when your crew's walking across dirt or stone, and for whatever reason I find it comforting. Now that I've had my say (again), what are your favorite aspects of Octopath Traveler?